Continuing my look at the 2015 Sundance US Documentary Competition: CALL ME LUCKY, Bobcat Goldthwait’s surprising portrait of fellow comedian Barry Crimmins. Barry Crimmins is pissed. His hellfire brand of comedy has rained verbal lightning bolts on American audiences and politicians for decades, yet you’ve probably never heard of him. But once you’ve experienced Bobcat Goldthwait’s brilliant character portrait of him and heard Crimmins’s secret, you will never forget him. From his unmistakable bullish frame came a scathingly ribald stand-up style that took early audiences by force. 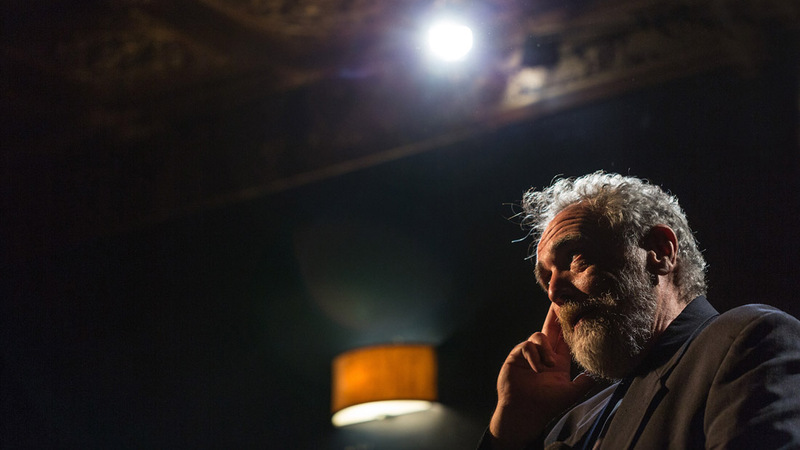 Through stark, smart observation and judo-like turns of phrase, Crimmins’s rapid-fire comedy was a war on ignorance and complacency in ’80s America at the height of an ill-considered foreign policy. Crimmins discusses another side of his character, revealing in detail a dark and painful past that inspired his life-changing campaign of activism in the hope of saving others from a similar experience. Interviews with comics like Margaret Cho and Marc Maron illustrate Crimmins’s love affair with comedy and his role in discovering and supporting the development of many of today’s stars. As a venerated member of America’s comic community, Crimmins could be your newest national treasure. Just don’t tell him that. He’s not done being pissed yet. Goldthwait’s latest film, his first documentary feature, marks his fourth time at Sundance as a director following fiction films WORLD’S GREATEST DAD (2009) and SLEEPING DOGS LIE (formerly known as STAY) (2006), as well as one of the shorts in Mike Plante’s LUNCHFILMS series, GOLDTHWAIT FAMILY HOME MOVIES (ANNIVERSARY EDITION) (2009). Joining him as producers are Type 55 Films’ Charlie Fonville and Clinton Trucks, whose credits include comedy shorts for Funny or Die and other venues, standup comedy specials, webseries, music videos, and television commercials. The project’s editor, Jeff Striker, previously served as one of the editors of Sundance short alum THE THING (2012). Given their long-standing friendship, Goldthwait is well-positioned not only to reveal Crimmins’ instrumental role in encouraging the careers of a generation of standup comics and to explore the satirist’s own sharply observant humor, but also to provide a sensitive and supportive space to explore his personal traumas and their surprisingly wide-ranging impact, which give the film its emotionally affecting core. For more information, check out the film’s Facebook page and placeholder website. For Goldthwait’s thoughts on the film, watch his Sundance Meet the Artists profile. For screening dates and times at Sundance, click the link in the first paragraph. To experience the festival through the eyes of this year’s filmmakers, follow my Sundance filmmaker class of 2015 Twitter list.